Over the course of 50 days in the summer of 2014, the Israeli Defense Forces conducted a high-intensity air and ground campaign against Hamas in the Gaza strip. Sparked by the murder of three Israeli teenagers by Hamas militants, this short but violent conflict resulted in over 2,100 killed on the Palestinian side, as well as widespread destruction and damage to civilian infrastructure. Israel suffered roughly 70 casualties during the operation, including IDF soldiers killed in battle and Israeli civilians struck by Hamas' indiscriminate rocket attacks against Israeli population centers, which also took a large psychological toll on terrorized Israeli civilians. This latest chapter in the long saga of conflict between Israel and Hamas provides another salient lesson in the horrors of war, but also a new opportunity to examine the operation of the law of armed conflict principles in practice. Israel has long resisted publicly revealing its targeting methods and even some of its specific positions on the law of armed conflict (LOAC), fearing that doing so would provide an operational advantage to its adversaries and be exploited by often-critical interlocutors among states and in the international human rights community. This may be changing. Shortly after the conclusion of open hostilities, the IDF invited us to Israel to examine its targeting practices and application of the LOAC. We visited an operational IDF headquarters (the Gaza Division) and observed its targeting cells; reviewed the targeting procedures of both ground and air forces; studied the organization, training, and methodology of the Military Advocate General's Corps; visited a Hamas attack tunnel; examined combat footage, including the publicly released footage here; and interviewed IDF officers — both legal advisers and operators — at various levels of command. Our goal was not to assess the just-concluded campaign (Operation Protective Edge), but rather to delve into how the IDF conducts targeting in general from the perspective of individuals who have real-world targeting experience and LOAC expertise. The results of the research will be published in two related pieces, one for a military-policy audience, the other in an academic law journal. Israeli targeting practices and positions on the LOAC are broadly within the mainstream of contemporary state practice, but the nuances of the Israeli approach to targeting and the LOAC can only be understood in the context of the specific operational and strategic environment in which the IDF must fight. Several key factors inform IDF decision-making in this regard. The first is the extraordinary degree to which the Israeli population views itself as "under siege" — Israel is surrounded by foes, and both of its chief antagonists (Hamas in Gaza and Hezbollah in Lebanon) possess vast quantities of cheap, widely available, and highly inaccurate rockets that they regularly launch at Israeli population centers. These rockets are capable of ranging virtually the entire country. Consequently, the IDF has invested heavily in both defensive measures such as the Iron Dome system, and in efforts to identify, interdict, and destroy their adversaries' rocket arsenals. Put in terms of the LOAC, the destruction of rockets and rocket-launching infrastructure (often in the form of civilian houses converted to military use in order to deter Israeli attack) has a high degree of "anticipated military advantage," such that it may justify (from the IDF's standpoint) levels of collateral damage that may strike outside observers as potentially excessive. The second factor that figures prominently in the IDF approach to targeting is the acute casualty aversion in Israeli society writ large, coupled with a pervasive fear of IDF soldiers being taken prisoner and used to exert strategic leverage over Israel. This reality is thrown into stark relief when one considers the consternation that greeted the US decision to exchange five Taliban fighters for the release of Sgt. Bowe Bergdahl. By comparison, Israel routinely releases hundreds and sometimes thousands of captured fighters for the return of captive IDF soldiers (or their remains) — and unlike the Taliban fighters involved in the US exchange, it is certain that many of those released by Israel will soon return to the fight. The difference in perspective can be explained in part by the fact that, unlike the all-volunteer professional military the United States fields, the IDF is a conscript force; nearly every Israeli family has loved ones who have confronted, are confronting, or will confront the risk of capture or death in combat. Because Hamas well understands this particular characteristic of its Israeli foe, it employs an extensive network of infiltration tunnels and masks its fighters among the civilian population close to Israeli communities in an effort to surprise and overwhelm isolated IDF positions. Therefore the IDF places a high priority on the destruction of tunnels and the infrastructure that supports them, and is willing to operate aggressively both by ground and by air to root out Hamas fighters from the civilian population among which they hide. 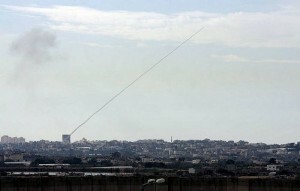 Strikes on tunnel entrances, on cement plants that Israel claims are used to construct the tunnels, and on Hamas concentrations in civilian settings sometimes lead outside observers to question the degree to which Israel honors the principle of distinction, the rule of proportionality, and the requirement to take precautions in attack. We use this operational and strategic context to explore how the IDF is organized to fight, how targeting operations are conducted and controlled, and how the MAG is positioned to provide legal advice and oversight of military operations. The unique and robust role of Israeli courts with regard to on-going military operations is examined and IDF positions on targeting law are catalogued and assessed. The latter includes, inter alia, analysis of the Israeli stances on: Additional Protocol I as customary international law; application of the definition of military objectives; direct participation, voluntary and involuntary human shields, and the concept of organized armed groups; placement of fighters and military objectives among civilian persons and objects; the effect of uncertainty and doubt in targeting; contextual application of the rule of proportionality; and precautions in attacks, especially warnings and the controversial "knock-on-the-roof" technique. Broadly speaking, we concluded that IDF positions on targeting law largely track those of the United States military. Moreover, even when they differ, the Israeli approach remains within the ambit of generally acceptable State practice. The IDF is served by a corps of highly competent and well-trained legal advisors who operate with a remarkable degree of autonomy, and its operations are subject to extensive judicial monitoring. While there are certainly Israeli legal positions that may be contentious, we found that their approach to targeting is consistent with the law and, in many cases, worthy of emulation. When civilians may be affected by an attack and it is militarily feasible to do so, the IDF undertakes extensive measures to warn them. Some, such as leaflet drops and general announcements to the civilian population, are common in conflicts. They typically announce that a particular area will be subject to attack and instruct the population where to go to avoid its effects. In many cases, the IDF contacts neighborhood leaders and asks them to encourage civilians to leave the area. The IDF also delivers very precise warnings of particular strikes. As described below, these include direct phone communications with civilians in the target area and so-called "knocks on the roof." Human rights organizations criticized both of the latter techniques during the recent Israeli operation in Gaza, although the authors did not find the criticism well-grounded. Footnote 70 refers to Human Rights Watch and Amnesty International, effectively saying that their grasp of international law is flawed . Although the Israeli positions on the LOAC principles and rules governing targeting are rather orthodox, the unique operational environment in which it finds itself clearly affects interpretation and application. As an example, given the propensity of Israel's enemies to use human shields, it is unsurprising that Israel has taken the position that individuals voluntarily acting this manner are to be treated as direct participants in hostilities. In light of its enemies' frequent failure to distinguish itself from the civilian population, it is equally unsurprising that Israel has embraced the principle of reasonableness with respect to target identification. Perhaps most noteworthy is the high value Israel places on the safety of its soldiers and its civilian population. Although impossible to quantify, these concerns undoubtedly influenced the perspective of Israeli commanders as they plan and execute military operations, perspectives that often come into play in the application of such LOAC concepts as proportionality. In the authors' opinion, use of lawfare by Israel's enemies likewise shapes, whether consciously or not, Israel's interpretation and application of the LOAC. In particular, Israel has adopted an inclusive approach to the entitlement to protected status, particularly civilian status. Examples include Israel's positions on doubt, its treatment of involuntary shields as civilians who are not directly participating and its view that individuals who ignore warnings retain their civilian status. Although these positions might seem counterintuitive for a State that faces foes who exploit protected status for military and other gain, such positions are well suited to counter the enemy's reliance on lawfare. In this regard, Israel's LOAC interpretations actually enhance its operational and strategic level position despite any tactical loss. Along the same lines, in many cases, the IDF imposes policy restrictions which go above and beyond the requirements of LOAC. Israel's actions were quite lawful under any sane interpretation of the Laws of Armed Conflict. Amnesty and HRW twist international law in ways that make it impossible for any modern army to fight. In addition, there was a comment by a reader, montlasky, on April 29, 2015. This was an eye opener which the world in general should pay attention to!! As Israel and the IDF are held in contempt in all of the Arab nations including many countries in the West, the Jews and the Jewish state must operate as they do within the law were circumstances permit. If circumstances are such that the IDF are forced by circumstance to operate outside of these legal guide lines, so be it. Michael Schmitt is the Charles H. Stockton Professor of International Law and Director of the Stockton Center for the Study of International Law at the U.S. Naval War College. John Merriam is a US Army Judge Advocate currently serving as the Associate Director of the Stockton Center at the US Naval War College.